Welcome to Prodigy Home Loans! Prodigy Home Loans has been serving Florida home buyers since 1999, offering a full portfolio of mortgage lending options. We have relationships with many reputable lenders so that we can offer you the most desirable rates and terms for your individual situation. We understand that this may be the most significant investment you will ever make. That’s why our mortgage professionals take a personal approach to ensure we make the entire process as simple and stress-free as possible. 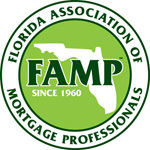 Whether you are a first time home buyer, purchasing your dream home, refinancing an outstanding loan or consolidating debt, we will work with you to ensure that you get a mortgage solution that is tailored specifically to meet your financing needs.Speak directly with one of our experienced mortgage professionals at (904) 222-0000 or email us to get started. My wife Jan and I secured a construction–to-permanent home loan through Prodigy Homes Loans and after our experience, we’ll never go anywhere else.We were so impressed with Prodigy Home Loans and our Loan Professional Julie Payton. Julie was helpful, knowledgeable and accessible – she even answered our calls on weekends! We experienced some challenges with our builder but Julie helped us through the entire process and gave us peace of mind that she was truly on our side. The Prodigy team gave us some great advice that enabled us to overcome the setbacks, close on our loan timely and move into our dream home. I really can’t say enough good things about our experience with Prodigy Home Loans. 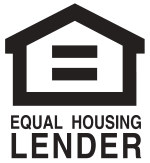 They are a first-class company that I wholeheartedly recommend for any mortgage loan.